Sometimes a piece of art can inspire and entire room. 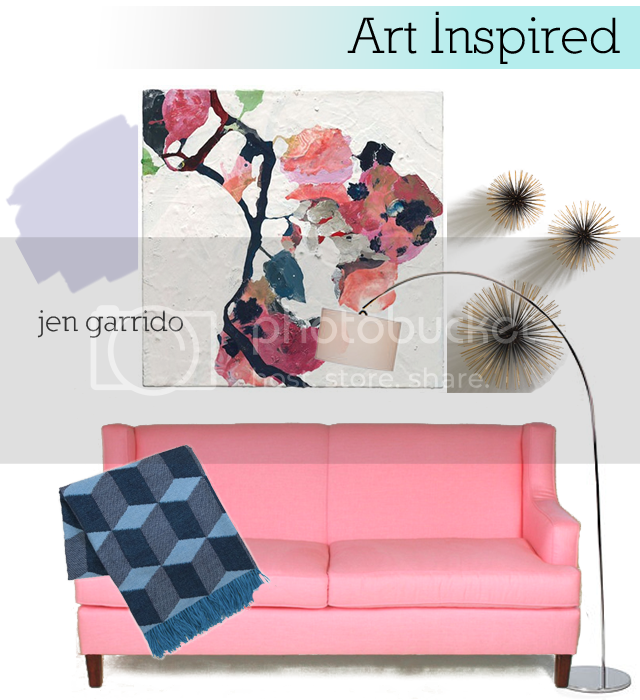 In this case, I love this abstract piece from Jen Garrido. It inspired this feminine seating area featuring this fabulous sofa from Furbish Studio.